Citrinela | Zonyxa. Unique and contemporary jewellery for Work. Love. Play. 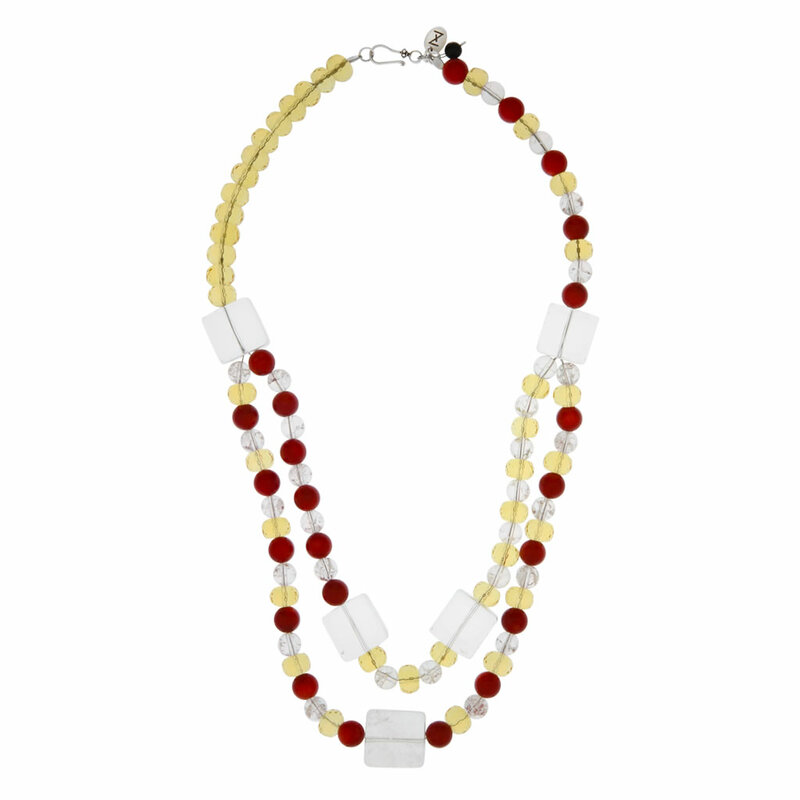 This striking and captivating necklace features clear crystal cubes, ice quartz balls, rich red coral and bright yellow citrine. It’s perfect for special day-time occasions. Wear with white or black outfit. Materials: Crystal, ice quartz, citrine and coral necklace.